Ideal for Sunday dinner, or any special occasion, Rastelli Market pork roast and glazed ham won’t soon be forgotten by anyone lucky enough to get a taste! The mouthwatering centerpiece of any holiday meal, our bone-in glazed spiral ham is as tender and juicy as they come. Brown sugar-cured for the ultimate flavor, you can dig right in as we’ve pre-sliced it! Prefer a slow-cooked, hickory-smoked ham? 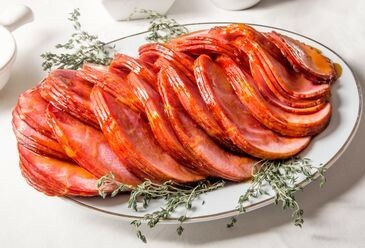 Our old fashioned sliced ham has you covered. These honey-glazed ham slices are vacuum sealed to ensure none of the flavor sneaks out of the box! 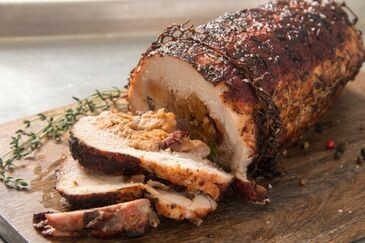 Perhaps you’d like to add a beautiful pork loin roast to the dinner menu? 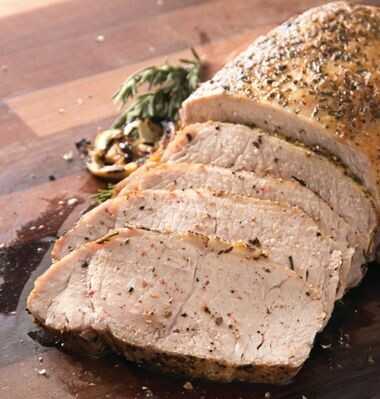 The obvious choice is a Rastelli roast, but you’ll still have to decide between our 4-bone Frenched pork roast, or our boneless pork loin roast. Both are a generous 3 lbs., and both are beyond delicious. Can’t decide? We can’t blame you. But we can say that if you decide to enjoy both a pork roast and a glazed spiral ham, the only judgement we’ll have is that you have great taste! Luckily, the perfect complement to great taste is food that tastes great, and that’s exactly what we offer at Rastelli Market. Save up to $6.00 off regular price!